The fourth installment of the AVO 30th Anniversary rollout has now started to make its way to retailers – the limited return of the AVO Signature. The AVO Signature was a regular production line for many years. However, when AVO underwent its rebranding in 2015, the AVO Signature was discontinued, along with the AVO Maduro. Now both lines have returned for limited runs as a part of the AVO 30th anniversary celebration. AVO Signature returns with the same blend featuring an Ecuadorian Connecticut wrapper over Dominican binder and filler. The blend was based on the first AVO Limited Edition cigar, the Avo 75th. Only three of the original sizes are returning: Robusto, Belicoso, and Double Corona. The cigars are presented in 10-count boxes featuring packaging in-line with the rest of the brand. 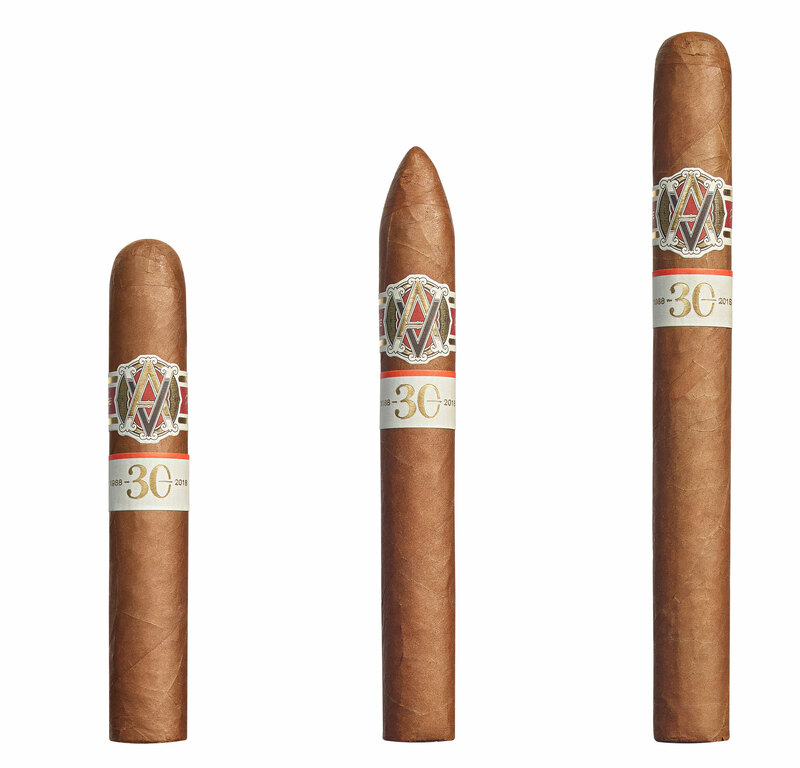 The returning cigars also feature the special AVO 30th anniversary secondary band found across the other 30th anniversary offerings. Production has been limited to 1,500 boxes per size.